I have this friend who just can’t bear to look at the news these days, because of all the hate, fear, and disasters that are being reported. Every few days, I give him a summary of the situation, based on my news consumption. And today, there is hope. It may seem ridiculous to say there is hope, when millions are losing their health care coverage, when 10-year-old trans girls are once again being forced into men’s restrooms, when patients with brain tumours are being dragged out of hospital beds, when the Standing Rock DAPL protestors have all been arrested or driven off the land, when the White House is attacking the very pillars of democracy itself, and when the President of the United States is someone who needs to be babysat like a three-year-old, is easily manipulated by his white nationalist advisor, and is also, apparently, a Russian asset. In January 2017, America was officially downgraded from a democracy to a “flawed democracy” by EIU (Economist Intelligence Unit). While the anti-democratic actions of the Trump White House may have been a catalyst for this, the Trump presidency did not cause it. The problems had been developing for much longer. Why is this cause for hope? Had America elected a business-as-usual president in 2016, there would not have been the incredible outpouring of protest, political engagement, and grassroots activism that has electrified the sitting members of the House and the Senate. The Executive government has finally become so odious, so opposed to the rights and best interests of a large enough majority of people, publicly enough, that the majority of the public has been woken from its coma of consumption, entertainment, and junk food. Not even three out of five voters turned out to vote in the election, partly because of voter suppression, partly because of Democrat anger and despair over the DNC’s choice of Hillary Clinton over Bernie Sanders as nominee, or conservative disapproval of Donald Trump as the Republican nominee, and partly because of the traditional apathy. Traditional apathy and “politicians are all the same” were blown out of the water by an immediate and unprecedented attack on the foundations of democracy, starting the first week of the Trump presidency. 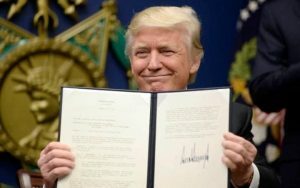 Trump signed a flurry of Executive Orders, many controversial, several immediately challenged in the courts, and one (the so-called “Muslim ban”, barring entry to passport-holders from seven countries) was stayed in a weekend emergency Federal Court hearing, because it was potentially unConstitutional. Trump proceeded to attack the judiciary via Twitter. The separation of powers enshrined in the Constitution has never seemed to be real to him. He views checks and balances as “disloyalty”. Spicer, his press secretary, told the career diplomats who disagreed with the immigration ban to “get with the program or go”. While he had been a regular critic of the media during the election campaign, as President, Trump took his criticism to new levels. Bannon, his political advisor, referred to the media as “the opposition party” and told the media to “keep its mouth shut”. After a particularly torrid week of revelations about his potential ties with Russia, Trump named several media outlets as “the enemy of the people“. The groups of people feeling despair, pain and/or anger are already legion. The Republicans want to repeal the Affordable Care Act (nicknamed Obamacare), which has extended health insurance to millions of people who previously could not afford it. They have no viable alternative plan, and have admitted that any alternative would leave some of the current beneficiaries of the ACA without health cover. Since the US does not have any form of universal minimum health care, to be without health insurance is literally a death sentence. Voters have been phoning, picketing, and turning up to town hall meetings in force to protest. Trump and the Republican-majority House have attacked the environment, using executive orders to push through two oil pipelines (Keystone XL and Dakota Access) that had stalled due to environmental concerns and protests, prohibiting government scientists from publishing information on climate change, cancelling environmental protections against pollution from coal mining, removing the Standing Rock protesters by force, and moving to cripple the Endangered Species Act and sell off public lands. National Park rangers have been at the vanguard of the resistance, tweeting climate facts in defiance of the communications ban, and starting the trend of government employees anonymously opening “alt” Twitter accounts to publish information the White House is trying to suppress. The First Amendment protects the right of free speech, including a free press, and the right to peaceful protest. 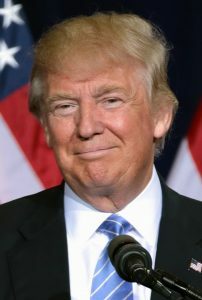 Under Donald Trump, the President himself has attacked the free press, HUD and NSC staff have been fired for being critical of Donald Trump, several states have proposed bills to criminalise peaceful protest, North Dakota has moved to decriminalise running down a protester with a motor vehicle, Arizona has passed a bill to seize the assets of protestors, and border forces have been demanding passwords to social media accounts as part of their “extreme vetting” process, as well as asking people’s opinions of Donald Trump. Many government agencies now have a White House “liaison” to ensure all new hires are “loyal” (to Trump). 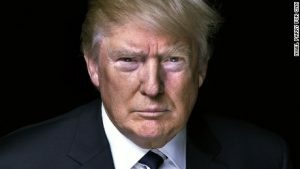 The travel ban executive order, cancelling Federal protection for trans students to use appropriate bathrooms, removing the Standing Rock Sioux from their own land, proposing to violate the Geneva Convention, and repudiating obligations under the UN Convention on Refugees are barely the tip of the iceberg of the attacks on human rights under Trump. Rolling back Roe vs Wade. Just the notion that a self-confessed serial sexual abuser could somehow win office. Telling his female staff to “dress like a woman”. Assembling a staff so overwhelmingly male and white that minority staff are feeling the hostility and resigning. Not that America had a stellar record on human rights before Trump. The Standing Rock protesters were subjected to torture in jail in 2016, unarmed black and Hispanic young men are gunned down by trigger-happy police on a regular basis, and religious hate crimes are common. However, previous governments have at least given lip service to the notion of justice and liberty for all. The pointless wall (that Mexico will never pay for). The disregard of long-time allies like Australia and Britain. The cosying up to Russia (even pressuring the Republican party to soften its stance on Russia’s acts of aggression in the Ukraine). The blatant disregard of the One China policy (and the quiet reversion to that policy after China granted Trump his trademarks in China, which had been held up the courts for 10 years). The blatant hostility to the EU displayed by Bannon, even though Pence says all the right things. Trump’s expressed desire to have more nukes, and his description of the START treaty (which limits the number of nukes) as “a bad deal”. Trump talks about bringing back manufacturing jobs that are structurally unsupportable. He wants to cut taxes on the wealthy and businesses, spend $25 billion on a border wall with Mexico and another $2-4 billion on deportation officers, plus constructing detainment camps, and hiring more border officers. And spend a trillion dollars on infrastructure projects. There is no coherent plan about where all this money will come from (refer back to “Mexico will never pay for the wall”). Immigrants, a strong driver of economic growth, have been mightily discouraged by the arbitrary travel ban, as have tourists. Trump inherited an economy already carrying impossible levels of debt, and has said nothing about how he will deal with the coming crisis in confidence in the US dollar. Wanting to approve scientific papers before publication. Appointing an Education Secretary who is opposed to public education. Proposing a bill to disband the Department of Education. Proposing to censor scientific research. Proposing to sack two out of three EPA staff. Proposing to axe NASA’s climate science division. Under Trump, the White House has abandoned all pretense of morality, honesty, or consistency. The press secretary famously announced “we have a right to disagree with facts”, and spokesperson Kelly-Anne Conway described Trump’s “white is black” claim of having bigger inauguration crowds than Obama as “alternative facts”. Spicer (admittedly in a difficult position) has been reduced to insisting that what “the President believes” should be treated as the truth. Trump himself lies so constantly and casually that there is serious speculation that he has a psychological disorder, and either doesn’t realiize that he is lying, or doesn’t recognize the existence of objective truth. The 2016 movie, Hypernormalization, traces the fall of objective truth as a force in politics. Trump is simply a manifestation of a longer process. He is the most extreme version imaginable, but if the slide is not arrested, an even more unimaginable version will be next. Flynn got busted, both for talking to Russians about sanctions during the election campaign, and for lying about it. He didn’t even get fired – he resigned, supposedly because he had “misled” VP Pence. Since then, nothing. Trump arrived in office on Day 1 in blatant violation of the emoluments clause of the Constitution. Nobody did anything about that. White House staff called the FBI (the thing for which Nixon was impeached) and other agencies to ask them to lie to the press about an ongoing FBI investigation. Nothing happened. The President and several of his staff are blatantly breaking the highest law in the land, and nothing is happening. There is much more. This is all just the tip of the iceberg of why people are depressed, despairing, angry, frustrated, and disbelieving. However, there is one golden lining in this entire debacle – the Trump team has managed to wake the electorate from its hypernormalized slumber. 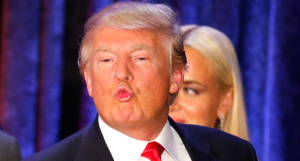 (Arguably, Trump himself is too much of a bumbler to be so comprehensively offensive in such a short time. Bannon and a couple of others have stung the sleeping dragon hard enough to elicit a roar of pain and anger.) People have recognised that the institutions of democracy, which safeguard their freedoms, have been under sustained attack for some decades, and are on the brink of failing. By itself, this might not be enough. Things here might be bad, but NOBODY wants to trade our flawed version of democracy for the non-democracy that they have in Russia. And nobody wants democracies around the world to be undermined, and to fall to autocratic dictators. Democracy (government of the people, by the people, for the people) is being mightily strained by neoliberal crony capitalism (government of the people, by the elite, for the corporations), but we’d like to come out of that with better democracy, not with a kleptocracy (government of the people, by a handful, for the enrichment of the handful). There is sufficient evidence accumulating to warrant an investigation into Donald Trump’s international conflicts of interest, and particularly into his conflicts of interest with Russia. What this will uncover, of course, is the money trail. The buying of influence has been an openly-admitted flaw in the US system for a long time. The astronomical cost of running for public office simply plays into the hands of the moneyed classes, as they can more easily win positions for themselves, or buy them for acolytes. Now that money has become globalised, the buying of influence has become globalised. It is illegal for any elected representative to accept donations from foreign individuals, governments, or corporations. (The money trail will likely show that quite a few have done that.) Corporations and projects on US soil are often owned or funded by financial interests overseas. They make political donations, and expect favourable political treatment. While a certain amount of pay-for-play is tolerable to the jaded public, the idea that a foreign government may have subverted the democratic election process calls into question our sovereignty. Democrats and Republicans disagree about many things, but on the subject of America’s right to independence and sovereignty, all Americans stand as one. Party loyalty kept the Democrats howling for an investigation and the Republicans stonewalling one for most of 2016, and the first month of the Trump presidency. However, the FBI have briefed Congressmen and Senators (in a secure room) on their ongoing investigations. Since then, the Democrats have become more patient, and the Republicans are starting to break ranks, with some now supporting an independent bipartisan investigation. There is a breadcrumb trail forming, with new pieces of information emerging gradually, day by day. Trump’s businesses under investigation for money-laundering (oh, remember when his casinos were fined $10 million for repeatedly not following anti-laundering rules? Biggest fine ever? Remember that?). Trump’s ties to organised crime (in the US and Russia) may go back decades. A web of possible front companies for transactions between Trump and Russia has been named. Does Donald Trump seem smart enough to run a web of front companies? No? Then who are the financial masterminds cooking the books? (By the way, his personal attorney seems to have hand-delivered a plan to blackmail the Ukrainian leader to the White House last week, though the White House denies receiving it.) Trump’s personal attorney seems to have a pretty wide remit. Wasn’t he also reportedly involved in the sanction-lifting plan during the election? What’s his background? How much did Pence know, and when? Was he an innocent bystander roped in as the mobster’s beard of respectability, who only discovers too late who he is in bed with? Or did he know exactly what Flynn was up to, and that Flynn was working under orders from Trump? Did Pence think he could outfox Putin? Or use the Russians to gain the White House, and then have no piper to pay? Did he have a secret plan to ride the Trump impeachment bandwagon into the top seat himself? Is he witless or wily? You can bet your bottom dollar that the FBI has a pretty clear idea already. If Trump and Pence are both involved then we get (following the line of succession) Paul Ryan (the Speaker of the House). He and Mitch McConnell (Senate majority leader) have almost complete control over what information becomes public if existing committees carry out the inquiry. McConnell was involved in covering up the information before the election, and seems to have some reason to want to keep the investigations private. McConnell and Ryan have opposed public investigations, preferring the inquiry to stay in-house. Ryan was clearly very unhappy to have Donald Trump as the Republican nominee. He seemed to feel Trump was unelectable, and turned his focus to saving the Republican House majority. This reluctance to endorse Trump made him look clean in the run-up to the election. However, he has been doing an awkward dance for the past month. Enough evidence has mounted that an investigation is clearly on the cards. McConnell clearly wants it internal, not public (maybe because a PAC connected with McConnell has received millions from entities in the Trump-Russia web). Ryan doesn’t like Trump as a man, but Ryan is an honorable man, loyal to his President. He is speaking out against Russia in general, and the election meddling, but on Feb 15th he said that there were “no claims of evidence that Trump or his team were in on” the Russian meddling. He has not repeated that assertion since the FBI briefing. He is our most likely candidate for the next president. Why hasn’t Flynn been charged yet? What this looks like is a huge house-cleaning operation, under way in a very thorough, very patient manner. We know Russian money has corrupted our system – now exactly where, exactly who, for how long, and what has been the damage? And how many of them can we build a file on that will stand up in court? 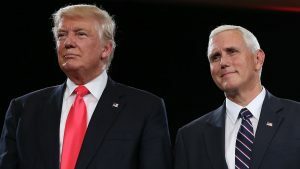 If it was just Donald Trump under Russian influence, the House Republicans would impeach him in a second and put reliable VP Pence in his place. Problem solved. So it is not just Donald Trump. Flynn is a goner – he lied to the FBI. That’s a felony. He knows it, they know it, and everyone knows it. So why hasn’t he been charged?.. Why ever is someone not charged? Because they make a deal. They give information on the bigger fish, in exchange for a reduced sentence. Or, of course, if the bigger fish are Russian mobsters or international spies who might KILL YOU for squealing, the witness protection program. This case probably warrants witness protection, since six people associated with the Trump-Russia dossier that was leaked by a British intelligence operative have died, and another has disappeared, presumed dead. This week, the FBI made it known that White House Chief of Staff Reince Priebus contacted the FBI for help in defusing media stories about Russian influence. This is, of course, illegal. If the FBI believed Priebus to be innocent, the FBI would have advised him of this, and quietly erased the recording of he conversation. Making it known publicly is a message to Priebus that it is time he thinks about making a deal, too. What is the hope, then? Here’s the hope. A thorough investigation of all the players in this drama will turn up Russian mobsters, compromised billionaires, and their enabling sycophants and enforcers. But it will turn up more than that. The sleeping dragon that has been woken (we, THE PEOPLE) will be even more empowered. Even with Pence or Ryan at the helm, the protests will continue. The legal challenges will continue. The people will continue to stand up for human rights, for democracy itself, and for the Constitution. Already, more people know about Constitutional rights than ever before. People are learning the meaning of words like emoluments and gerrymandering. People are protesting against the bastardisation of democracy. People are demanding a return to government FOR THE PEOPLE. This momentum can be ridden to enact sweeping reforms to laws on voter suppression, the persecution of legitimate protest, guarantees of human rights, clean air and water, and a hundred other issues where government FOR THE PEOPLE would restrict the unfettered actions of governments and corporations, for the benefit of the people. America may rise from the coming firestorm like a Phoenix, blazing in all her glory as a true democracy once more. Right now, it may seem that Trump and Bannon are succeeding in their stated goal of dismantling the State. Certainly, trans children, the Standing Rock Sioux and the undocumented migrants are bearing the brunt of this government’s disregard for human rights right now. But remember that building criminal cases takes time. Moving too quickly allows the big fish to escape the net. Comey has been playing the long game on this since the beginning. He may well have known the whole time that those new emails that came to light just before the election were planted by the Russians, but have acted as though he was unaware, in order to protect the identity of his sources. Comey appeared partisan, because he published the information about Hillary’s emails, but not the information about the Trump campaign’s contact with Russia. He took a lot of public criticism about his handling of the Hillary emails case from start to finish. By remaining quiet on the Trump-Russia connections, he may even have appeared complicit. This was all part of the chess game. Recent events have shown that the FBI intends to “drain the swamp”, in a way that Donald Trump could never have imagined. Keep resisting. Keep protesting. Keeping calling, writing, and turning up to talk to your representatives. Keep donating time and money to support the legal fight, and helping individuals affected by the insanity. Do not make the mistake of thinking that we are protesting against just this one man, or even against just this one administration. We are protesting against the system which has become so gerrymandered, so bloated with dark money, and so divorced from the lives of people that we can can no longer call it a democracy. We are protesting for a return to government FOR THE PEOPLE. Do not rest until we have that. #resist, #resist, and #resist some more.